For example, the binary logarithm of 1 is 0, the binary logarithm of 2 is 1, the binary logarithm of 4 is 2, and the binary logarithm of 32 is 5. The binary logarithm is the logarithm to the base 2. The binary logarithm function is the inverse function of the power of two function. As well as log2, alternative notations for the binary logarithm include lg, ld, lb (the notation preferred by ISO 31-11 and ISO 80000-2), and (with a prior statement that the default base is 2) log. Historically, the first application of binary logarithms was in music theory, by Leonhard Euler: the binary logarithm of a frequency ratio of two musical tones gives the number of octaves by which the tones differ. Binary logarithms can be used to calculate the length of the representation of a number in the binary numeral system, or the number of bits needed to encode a message in information theory. In computer science, they count the number of steps needed for binary search and related algorithms. Other areas in which the binary logarithm is frequently used include combinatorics, bioinformatics, the design of sports tournaments, and photography. Binary logarithms are included in the standard C mathematical functions and other mathematical software packages. The integer part of a binary logarithm can be found using the find first set operation on an integer value, or by looking up the exponent of a floating point value. The fractional part of the logarithm can be calculated efficiently. Leonhard Euler was the first to apply binary logarithms to music theory, in 1739. The powers of two have been known since antiquity; for instance they appear in Euclid's Elements, Props. IX.32 (on the factorization of powers of two) and IX.36 (half of the Euclid–Euler theorem, on the structure of even perfect numbers). And the binary logarithm of a power of two is just its position in the ordered sequence of powers of two. On this basis, Michael Stifel has been credited with publishing the first known table of binary logarithms in 1544. His book Arithmetica Integra contains several tables that show the integers with their corresponding powers of two. Reversing the rows of these tables allow them to be interpreted as tables of binary logarithms. Earlier than Stifel, the 8th century Jain mathematician Virasena is credited with a precursor to the binary logarithm. Virasena's concept of ardhacheda has been defined as the number of times a given number can be divided evenly by two. This definition gives rise to a function that coincides with the binary logarithm on the powers of two, but it is different for other integers, giving the 2-adic order rather than the logarithm. The modern form of a binary logarithm, applying to any number (not just powers of two) was considered explicitly by Leonhard Euler in 1739. Euler established the application of binary logarithms to music theory, long before their applications in information theory and computer science became known. 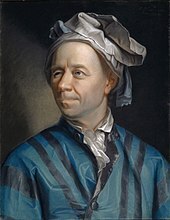 As part of his work in this area, Euler published a table of binary logarithms of the integers from 1 to 8, to seven decimal digits of accuracy. The binary logarithm function may be defined as the inverse function to the power of two function, which is a strictly increasing function over the positive real numbers and therefore has a unique inverse. Alternatively, it may be defined as ln n/ln 2, where ln is the natural logarithm, defined in any of its standard ways. Using the complex logarithm in this definition allows the binary logarithm to be extended to the complex numbers. For more, see list of logarithmic identities. In mathematics, the binary logarithm of a number n is often written as log2 n. However, several other notations for this function have been used or proposed, especially in application areas. Some authors write the binary logarithm as lg n, the notation listed in The Chicago Manual of Style. Donald Knuth credits this notation to a suggestion of Edward Reingold, but its use in both information theory and computer science dates to before Reingold was active. The binary logarithm has also been written as log n with a prior statement that the default base for the logarithm is 2. Another notation that is often used for the same function (especially in the German scientific literature) is ld n, from Latin logarithmus dualis aka logarithmus dyadis. The DIN 1302 [de], ISO 31-11 and ISO 80000-2 standards recommend yet another notation, lb n. According to these standards, lg n should not be used for the binary logarithm, as it is instead reserved for the common logarithm log10 n.
The number of digits (bits) in the binary representation of a positive integer n is the integral part of 1 + log2 n, i.e. In information theory, the definition of the amount of self-information and information entropy is often expressed with the binary logarithm, corresponding to making the bit the fundamental unit of information. However, the natural logarithm and the nat are also used in alternative notations for these definitions. A 16-player single elimination tournament bracket with the structure of a complete binary tree. The height of the tree (number of rounds of the tournament) is the binary logarithm of the number of players, rounded up to an integer. Every binary tree with n leaves has height at least log2 n, with equality when n is a power of two and the tree is a complete binary tree. Relatedly, the Strahler number of a river system with n tributary streams is at most log2 n + 1. Every family of sets with n different sets has at least log2 n elements in its union, with equality when the family is a power set. Every partial cube with n vertices has isometric dimension at least log2 n, and has at most 1/2 n log2 n edges, with equality when the partial cube is a hypercube graph. According to Ramsey's theorem, every n-vertex undirected graph has either a clique or an independent set of size logarithmic in n. The precise size that can be guaranteed is not known, but the best bounds known on its size involve binary logarithms. In particular, all graphs have a clique or independent set of size at least 1/2 log2 n (1 − o(1)) and almost all graphs do not have a clique or independent set of size larger than 2 log2 n (1 + o(1)). From a mathematical analysis of the Gilbert–Shannon–Reeds model of random shuffles, one can show that the number of times one needs to shuffle an n-card deck of cards, using riffle shuffles, to get a distribution on permutations that is close to uniformly random, is approximately 3/2 log2 n. This calculation forms the basis for a recommendation that 52-card decks should be shuffled seven times. The binary logarithm also frequently appears in the analysis of algorithms, not only because of the frequent use of binary number arithmetic in algorithms, but also because binary logarithms occur in the analysis of algorithms based on two-way branching. If a problem initially has n choices for its solution, and each iteration of the algorithm reduces the number of choices by a factor of two, then the number of iterations needed to select a single choice is again the integral part of log2 n. This idea is used in the analysis of several algorithms and data structures. For example, in binary search, the size of the problem to be solved is halved with each iteration, and therefore roughly log2 n iterations are needed to obtain a problem of size 1, which is solved easily in constant time. Similarly, a perfectly balanced binary search tree containing n elements has height log2(n + 1) − 1. The running time of an algorithm is usually expressed in big O notation, which is used to simplify expressions by omitting their constant factors and lower-order terms. Because logarithms in different bases differ from each other only by a constant factor, algorithms that run in O(log2 n) time can also be said to run in, say, O(log13 n) time. The base of the logarithm in expressions such as O(log n) or O(n log n) is therefore not important and can be omitted. However, for logarithms that appear in the exponent of a time bound, the base of the logarithm cannot be omitted. For example, O(2log2 n) is not the same as O(2ln n) because the former is equal to O(n) and the latter to O(n0.6931...). Binary logarithms also occur in the exponents of the time bounds for some divide and conquer algorithms, such as the Karatsuba algorithm for multiplying n-bit numbers in time O(nlog2 3), and the Strassen algorithm for multiplying n × n matrices in time O(nlog2 7). The occurrence of binary logarithms in these running times can be explained by reference to the master theorem for divide-and-conquer recurrences. A microarray for approximately 8700 genes. The expression rates of these genes are compared using binary logarithms. In bioinformatics, microarrays are used to measure how strongly different genes are expressed in a sample of biological material. Different rates of expression of a gene are often compared by using the binary logarithm of the ratio of expression rates: the log ratio of two expression rates is defined as the binary logarithm of the ratio of the two rates. Binary logarithms allow for a convenient comparison of expression rates: a doubled expression rate can be described by a log ratio of 1, a halved expression rate can be described by a log ratio of −1, and an unchanged expression rate can be described by a log ratio of zero, for instance. Data points obtained in this way are often visualized as a scatterplot in which one or both of the coordinate axes are binary logarithms of intensity ratios, or in visualizations such as the MA plot and RA plot that rotate and scale these log ratio scatterplots. In music theory, the interval or perceptual difference between two tones is determined by the ratio of their frequencies. Intervals coming from rational number ratios with small numerators and denominators are perceived as particularly euphonious. The simplest and most important of these intervals is the octave, a frequency ratio of 2:1. The number of octaves by which two tones differ is the binary logarithm of their frequency ratio. The millioctave is defined in the same way, but with a multiplier of 1000 instead of 1200. In competitive games and sports involving two players or teams in each game or match, the binary logarithm indicates the number of rounds necessary in a single-elimination tournament required to determine a winner. For example, a tournament of 4 players requires log2 4 = 2 rounds to determine the winner, a tournament of 32 teams requires log2 32 = 5 rounds, etc. In this case, for n players/teams where n is not a power of 2, log2 n is rounded up since it is necessary to have at least one round in which not all remaining competitors play. For example, log2 6 is approximately 2.585, which rounds up to 3, indicating that a tournament of 6 teams requires 3 rounds (either two teams sit out the first round, or one team sits out the second round). The same number of rounds is also necessary to determine a clear winner in a Swiss-system tournament. where N is the f-number measuring the aperture of the lens during the exposure, and t is the number of seconds of exposure. Binary logarithms (expressed as stops) are also used in densitometry, to express the dynamic range of light-sensitive materials or digital sensors. TI SR-50 scientific calculator (1974). The ln and log keys are in the second row; there is no log2 key.
. Extended in this way, this function is related to the number of leading zeros of the 32-bit unsigned binary representation of x, nlz(x). The integer binary logarithm can be interpreted as the zero-based index of the most significant 1 bit in the input. In this sense it is the complement of the find first set operation, which finds the index of the least significant 1 bit. Many hardware platforms include support for finding the number of leading zeros, or equivalent operations, which can be used to quickly find the binary logarithm. The fls and flsl functions in the Linux kernel and in some versions of the libc software library also compute the binary logarithm (rounded up to an integer, plus one). For normalized floating point numbers, the integer part is given by the floating point exponent, and for integers it can be determined by performing a count leading zeros operation. Start with a real number y in the half-open interval [1,2). If y = 1, then the algorithm is done and the fractional part is zero. Otherwise, square y repeatedly until the result z lies in the interval [2,4). Let m be the number of squarings needed. That is, z = y2m with m chosen such that z is in [2,4). Once again z/2 is a real number in the interval [1,2). Return to step 1, and compute the binary logarithm of z/2 using the same method. In the special case where the fractional part in step 1 is found to be zero, this is a finite sequence terminating at some point. Otherwise, it is an infinite series that converges according to the ratio test, since each term is strictly less than the previous one (since every mi > 0). For practical use, this infinite series must be truncated to reach an approximate result. If the series is truncated after the ith term, then the error in the result is less than 2−(m1 + m2 + ... + mi). The log2 function is included in the standard C mathematical functions. The default version of this function takes double precision arguments but variants of it allow the argument to be single-precision or to be a long double. In MATLAB, the argument to the log2 function is allowed to be a negative number, and in this case the result will be a complex number. ^ Groza, Vivian Shaw; Shelley, Susanne M. (1972), Precalculus mathematics, New York: Holt, Rinehart and Winston, p. 182, ISBN 978-0-03-077670-0 . ^ Stifel, Michael (1544), Arithmetica integra (in Latin), p. 31 . A copy of the same table with two more entries appears on p. 237, and another copy extended to negative powers appears on p. 249b. ^ Joseph, G. G. (2011), The Crest of the Peacock: Non-European Roots of Mathematics (3rd ed. ), Princeton University Press, p. 352 . ^ See, e.g., Shparlinski, Igor (2013), Cryptographic Applications of Analytic Number Theory: Complexity Lower Bounds and Pseudorandomness, Progress in Computer Science and Applied Logic, 22, Birkhäuser, p. 35, ISBN 978-3-0348-8037-4 . ^ Euler, Leonhard (1739), "Chapter VII. De Variorum Intervallorum Receptis Appelationibus", Tentamen novae theoriae musicae ex certissismis harmoniae principiis dilucide expositae (in Latin), Saint Petersburg Academy, pp. 102–112 . ^ Tegg, Thomas (1829), "Binary logarithms", London encyclopaedia; or, Universal dictionary of science, art, literature and practical mechanics: comprising a popular view of the present state of knowledge, Volume 4, pp. 142–143 . ^ Batschelet, E. (2012), Introduction to Mathematics for Life Scientists, Springer, p. 128, ISBN 978-3-642-96080-2 . ^ For instance, Microsoft Excel provides the IMLOG2 function for complex binary logarithms: see Bourg, David M. (2006), Excel Scientific and Engineering Cookbook, O'Reilly Media, p. 232, ISBN 978-0-596-55317-3 . ^ Kolman, Bernard; Shapiro, Arnold (1982), "11.4 Properties of Logarithms", Algebra for College Students, Academic Press, pp. 334–335, ISBN 978-1-4832-7121-7 . ^ For instance, this is the notation used in the Encyclopedia of Mathematics and The Princeton Companion to Mathematics. ^ a b Sedgewick, Robert; Wayne, Kevin Daniel (2011), Algorithms, Addison-Wesley Professional, p. 185, ISBN 978-0-321-57351-3 . ^ The Chicago Manual of Style (25th ed. ), University of Chicago Press, 2003, p. 530 . ^ a b Knuth, Donald E. (1997), Fundamental Algorithms, The Art of Computer Programming, 1 (3rd ed. ), Addison-Wesley Professional, ISBN 978-0-321-63574-7 , p. 11. The same notation was in the 1973 2nd edition of the same book (p. 23) but without the credit to Reingold. ^ Trucco, Ernesto (1956), "A note on the information content of graphs", Bull. Math. Biophys., 18: 129–135, doi:10.1007/BF02477836, MR 0077919 . ^ Mitchell, John N. (1962), "Computer multiplication and division using binary logarithms", IRE Transactions on Electronic Computers, EC-11 (4): 512–517, doi:10.1109/TEC.1962.5219391 . ^ Fiche, Georges; Hebuterne, Gerard (2013), Mathematics for Engineers, John Wiley & Sons, p. 152, ISBN 978-1-118-62333-6, In the following, and unless otherwise stated, the notation log x always stands for the logarithm to the base 2 of x . ^ Cover, Thomas M.; Thomas, Joy A. (2012), Elements of Information Theory (2nd ed. ), John Wiley & Sons, p. 33, ISBN 978-1-118-58577-1, Unless otherwise specified, we will take all logarithms to base 2 . ^ a b Goodrich, Michael T.; Tamassia, Roberto (2002), Algorithm Design: Foundations, Analysis, and Internet Examples, John Wiley & Sons, p. 23, One of the interesting and sometimes even surprising aspects of the analysis of data structures and algorithms is the ubiquitous presence of logarithms ... As is the custom in the computing literature, we omit writing the base b of the logarithm when b = 2. ^ a b c Tafel, Hans Jörg (1971). Written at RWTH, Aachen, Germany. Einführung in die digitale Datenverarbeitung [Introduction to digital information processing] (in German). Munich, Germany: Carl Hanser Verlag. pp. 20–21. ISBN 3-446-10569-7. ^ Tietze, Ulrich; Schenk, Christoph (1999). Halbleiter-Schaltungstechnik (in German) (1st corrected reprint, 11th ed.). Springer Verlag. p. 1370. ISBN 3-540-64192-0. ^ Bauer, Friedrich L. (2009). Origins and Foundations of Computing: In Cooperation with Heinz Nixdorf MuseumsForum. Springer Science & Business Media. p. 54. ISBN 978-3-642-02991-2. .
^ For DIN 1302 see Brockhaus Enzyklopädie in zwanzig Bänden [Brockhaus Encyclopedia in Twenty Volumes] (in German), 11, Wiesbaden: F.A. Brockhaus, 1970, p. 554, ISBN 978-3-7653-0000-4 . ^ For ISO 31-11 see Thompson, Ambler; Taylor, Barry M (March 2008), Guide for the Use of the International System of Units (SI) — NIST Special Publication 811, 2008 Edition — Second Printing (PDF), NIST, p. 33 . ^ For ISO 80000-2 see "Quantities and units – Part 2: Mathematical signs and symbols to be used in the natural sciences and technology" (PDF), International Standard ISO 80000-2 (1st ed. ), December 1, 2009, Section 12, Exponential and logarithmic functions, p. 18 . ^ Van der Lubbe, Jan C. A. (1997), Information Theory, Cambridge University Press, p. 3, ISBN 978-0-521-46760-5 . ^ Stewart, Ian (2015), Taming the Infinite, Quercus, p. 120, ISBN 9781623654733, in advanced mathematics and science the only logarithm of importance is the natural logarithm . ^ Leiss, Ernst L. (2006), A Programmer's Companion to Algorithm Analysis, CRC Press, p. 28, ISBN 978-1-4200-1170-8 . ^ Devroye, L.; Kruszewski, P. (1996), "On the Horton–Strahler number for random tries", RAIRO Informatique Théorique et Applications, 30 (5): 443–456, MR 1435732 . ^ Equivalently, a family with k distinct elements has at most 2k distinct sets, with equality when it is a power set. ^ Eppstein, David (2005), "The lattice dimension of a graph", European Journal of Combinatorics, 26 (5): 585–592, arXiv:cs.DS/0402028, doi:10.1016/j.ejc.2004.05.001, MR 2127682 . ^ Graham, Ronald L.; Rothschild, Bruce L.; Spencer, Joel H. (1980), Ramsey Theory, Wiley-Interscience, p. 78 . ^ Bayer, Dave; Diaconis, Persi (1992), "Trailing the dovetail shuffle to its lair", The Annals of Applied Probability, 2 (2): 294–313, doi:10.1214/aoap/1177005705, JSTOR 2959752, MR 1161056 . ^ Mehlhorn, Kurt; Sanders, Peter (2008), "2.5 An example – binary search", Algorithms and Data Structures: The Basic Toolbox (PDF), Springer, pp. 34–36, ISBN 978-3-540-77977-3 . ^ Roberts, Fred; Tesman, Barry (2009), Applied Combinatorics (2nd ed. ), CRC Press, p. 206, ISBN 978-1-4200-9983-6 . ^ Sipser, Michael (2012), "Example 7.4", Introduction to the Theory of Computation (3rd ed. ), Cengage Learning, pp. 277–278, ISBN 9781133187790 . ^ Sedgewick & Wayne (2011), p. 186. ^ Cormen et al., p. 156; Goodrich & Tamassia, p. 238. ^ Cormen et al., p. 276; Goodrich & Tamassia, p. 159. ^ Cormen et al., pp. 879–880; Goodrich & Tamassia, p. 464. ^ Edmonds, Jeff (2008), How to Think About Algorithms, Cambridge University Press, p. 302, ISBN 978-1-139-47175-6 . ^ Cormen et al., p. 844; Goodrich & Tamassia, p. 279. ^ Cormen et al., section 28.2. ^ Causton, Helen; Quackenbush, John; Brazma, Alvis (2009), Microarray Gene Expression Data Analysis: A Beginner's Guide, John Wiley & Sons, pp. 49–50, ISBN 978-1-4443-1156-3 . ^ Eidhammer, Ingvar; Barsnes, Harald; Eide, Geir Egil; Martens, Lennart (2012), Computational and Statistical Methods for Protein Quantification by Mass Spectrometry, John Wiley & Sons, p. 105, ISBN 978-1-118-49378-6 . ^ a b Campbell, Murray; Greated, Clive (1994), The Musician's Guide to Acoustics, Oxford University Press, p. 78, ISBN 978-0-19-159167-9 . ^ Randel, Don Michael, ed. (2003), The Harvard Dictionary of Music (4th ed. ), The Belknap Press of Harvard University Press, p. 416, ISBN 978-0-674-01163-2 . ^ France, Robert (2008), Introduction to Physical Education and Sport Science, Cengage Learning, p. 282, ISBN 978-1-4180-5529-5 . ^ Allen, Elizabeth; Triantaphillidou, Sophie (2011), The Manual of Photography, Taylor & Francis, p. 228, ISBN 978-0-240-52037-7 . ^ a b Davis, Phil (1998), Beyond the Zone System, CRC Press, p. 17, ISBN 978-1-136-09294-7 . ^ Allen & Triantaphillidou (2011), p. 235. ^ Zwerman, Susan; Okun, Jeffrey A. (2012), Visual Effects Society Handbook: Workflow and Techniques, CRC Press, p. 205, ISBN 978-1-136-13614-6 . ^ Bauer, Craig P. (2013), Secret History: The Story of Cryptology, CRC Press, p. 332, ISBN 978-1-4665-6186-1 . ^ fls, Linux kernel API, kernel.org, retrieved 2010-10-17. ^ a b c d Majithia, J. C.; Levan, D. (1973), "A note on base-2 logarithm computations", Proceedings of the IEEE, 61 (10): 1519–1520, doi:10.1109/PROC.1973.9318 . ^ Stephenson, Ian (2005), "9.6 Fast Power, Log2, and Exp2 Functions", Production Rendering: Design and Implementation, Springer-Verlag, pp. 270–273, ISBN 978-1-84628-085-6 . ^ Warren Jr., Henry S. (2013) , "11-4: Integer Logarithm", Hacker's Delight (2nd ed. ), Addison Wesley – Pearson Education, Inc., p. 291, ISBN 978-0-321-84268-8, 0-321-84268-5 . ^ "7.12.6.10 The log2 functions", ISO/IEC 9899:1999 specification (PDF), p. 226 . ^ Redfern, Darren; Campbell, Colin (1998), The Matlab® 5 Handbook, Springer-Verlag, p. 141, ISBN 978-1-4612-2170-8 . Weisstein, Eric W. "Binary Logarithm". MathWorld.